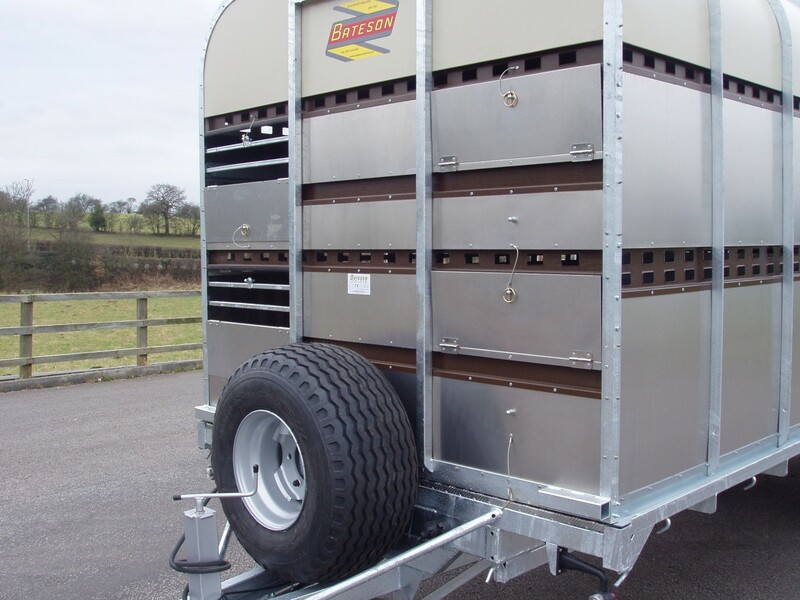 Bateson Livestock Trailers have been in production for over 70 years during which time they have developed continuously to keep abreast of ever changing legislation with regard to motor vehicles and the transport of animals. All models have a hot dipped galvanised chassis and are panelled with 2 mm toughened alloy sides and a heat reflecting, plastic coated galvanised steel roof. The floor is an 18 mm Phenol coated panel covered with aluminium tread-plate. 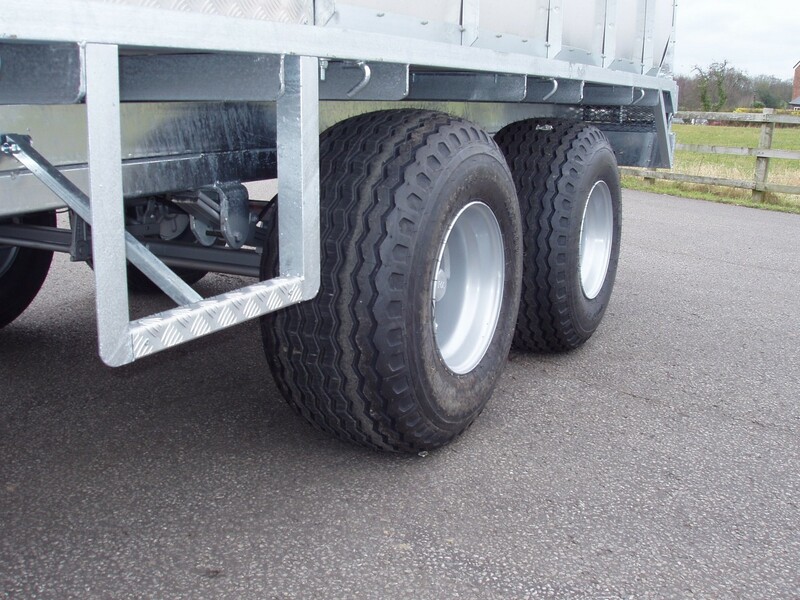 All trailers up to 3500 kg are fitted with independent suspension axles and auto-reversing brakes. 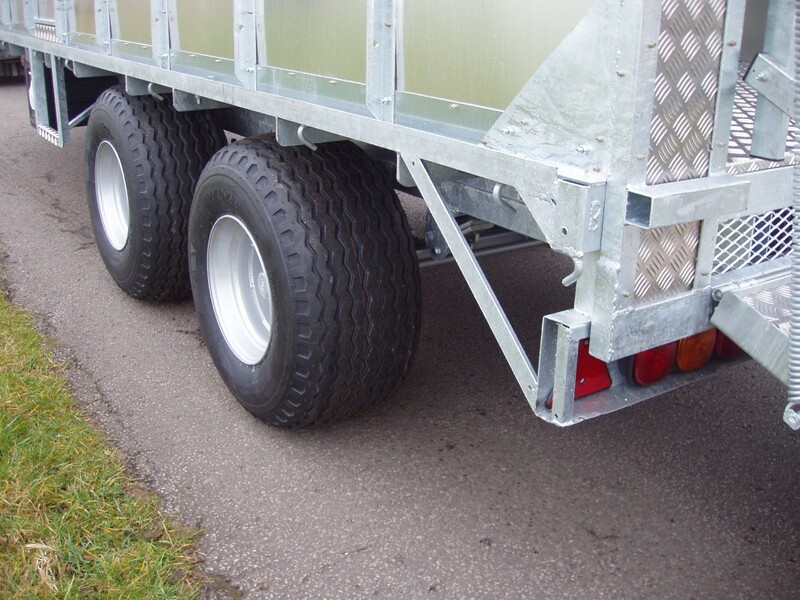 Full road lights, locking hitch and spare wheel are all standard. Model 90 LT and 100 LT are designed for use with tractors and have leaf spring suspension and hydraulic brakes. A cross division gate is standard in these trailers and optional in the other models. The maximum permitted pen lengths are 12′ for cattle. 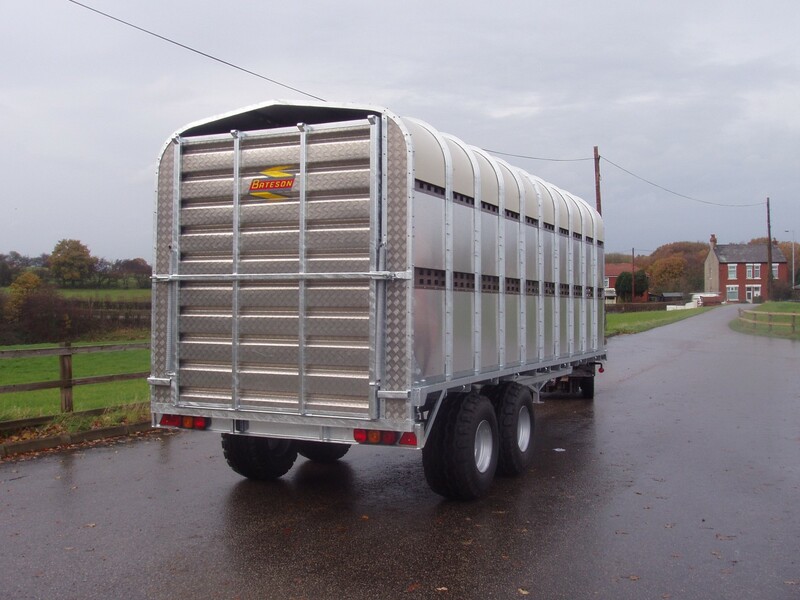 10′ for pigs and sheep and 8′ for calves. 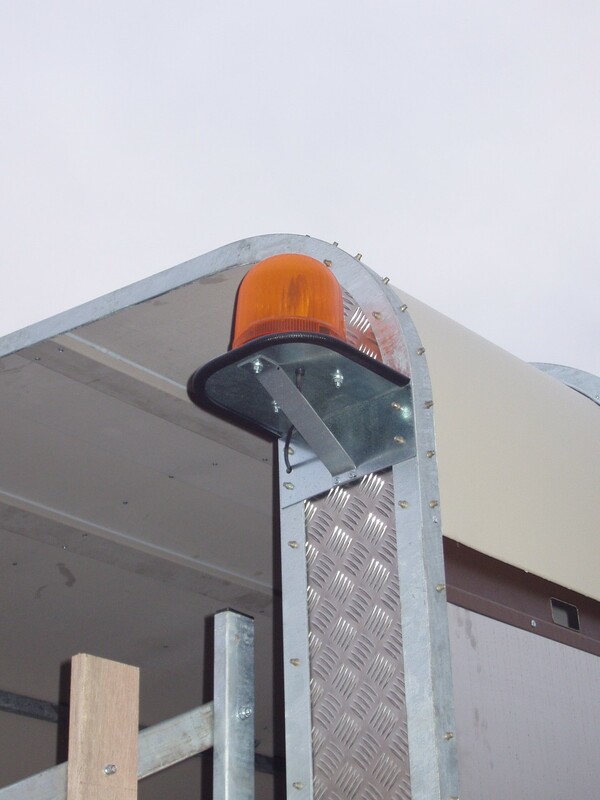 Some models are available with increased headroom and can be fitted with a timber ramp, breast bars and a centre division for the occasional transportation of horses. Simple lift out decks are available for models 30 LT to 48 LT. 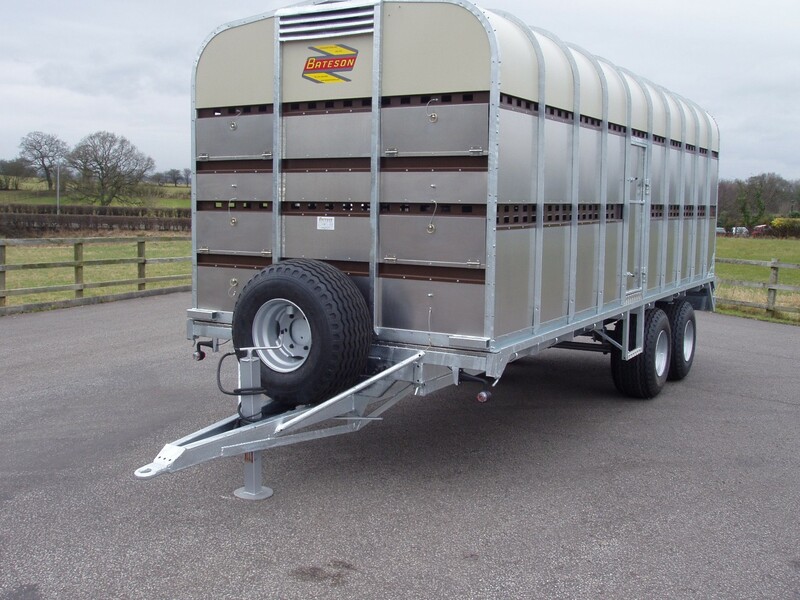 Fully folding aluminium sheep decks are available in the new Eurostock 326 and 336 models that also have aero dynamic fronts, an internal bulk head and hinge down front vents as standard. 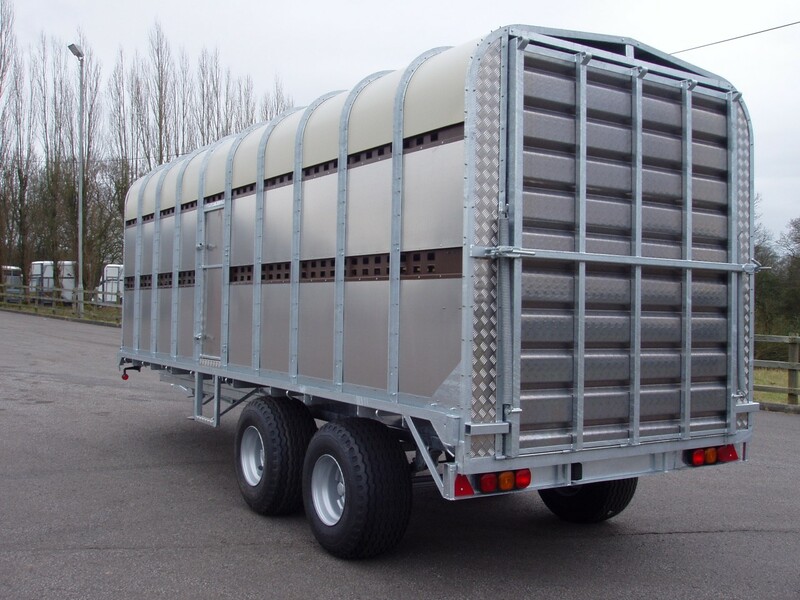 Possibly the most distinctive and efficient livestock trailers available. Fold down top front section to improve ventilation and reduce wind resistance are also available on models 30 LT to 60 LT.